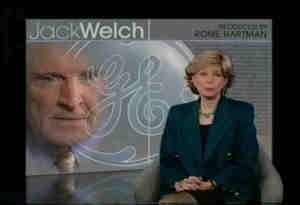 On October 29, 2000, 60 Minutes aired an interview with former General Electric CEO Jack Welch. Mr. Welch’s discovery of the Internet and subsequent introduction of internal webcasting at GE was a focus of the interview. An application to support webcasting, developed by infoblazer and GE, was shown in the program.